ABUJA – MINISTER of Labour and Employment, Senator Chris Ngige has assured Nigerians of a brighter 2018 as efforts are in top gear by the Federal Government to stem job losses and further create new ones. The Minister in a New Year message, urged Nigerians not to tremble over the recent statistics on job losses released by the National Bureau of Statistics(NBC) as the development is effectively modulated by a similar release by the Central Bank of Nigeria(CBN) which indicates over a Seven Million job growth in the Agricultural sector. He said, “I wish to assure Nigerians that 2018 will not be as bleak as 2017 in terms of job losses as the Federal Government has put enough checks to forestall a repeat of what was encountered in 2017. He further noted that the Federal Government will work harder in the new Year to create more jobs and sustain the current efforts at protecting the existing ones. 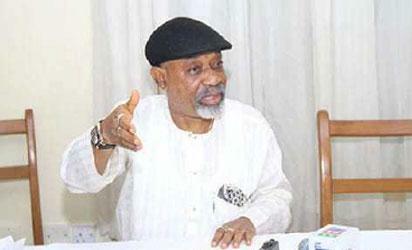 The post 2018: FG to stem job losses, create new ones – Ngige appeared first on Vanguard News.